“I Contain Multitudes” is a verse written by Walt Whitman, used, obviously, in a strictly metaphorical sense. Well, Ed Yong borrows it to talk about something much more literal. Of course it’s a book about microbes! Who Should Read “I Contain Multitudes”? And Why? 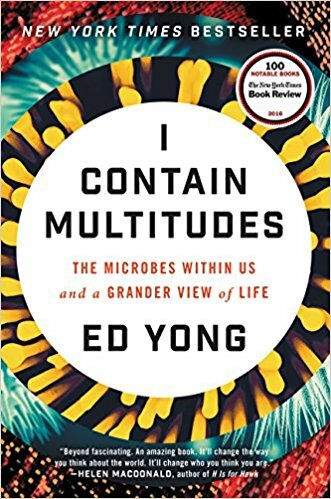 “I Contain Multitudes” is a book about the microbes which live inside your body, which means that it’s basically a book about you. Merely glancing through it, you’ll be surprised by the sheer number of things you don’t know about yourself – let alone by the fact that cleanliness was not exactly next to godliness! So, germaphobes, gastronomes, and geeks – please, be Ed Yong’s guests! Edmund Soon-Weng Yong – more popularly known as Ed Yong – is a British science journalist and beloved popularizer of science. 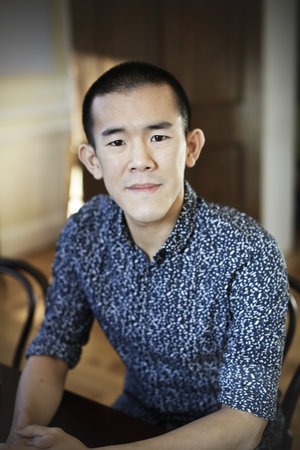 After receiving a Master of Arts degree in Natural Science (Zoology) from the University of Cambridge, Yong was awarded an MPhil from the University College London for his thesis on the human resolvase in 2005. Ed Yong is a permanent staff member of “The Atlantic,” and his work has appeared in numerous magazines; his blog – Not Exactly Rocket Science – is published as part of the “National Geographic” blog network. Critically acclaimed and popularly well-received, “I Contain Multitudes” is his first book. Animals might be evolution’s icing,” paleontologist Andrew Knoll once said, “but bacteria are really the cake. And what a cake they are, ha? But, that description is straight to the point in more senses than one! Consider it first chronologically: microbes are here for almost the same amount of time as the Earth itself! Being single-celled, microbes are naturally the first forms of life to have ever developed, about 3 to 4 billion years ago! To put that into perspective, the Earth is barely half a billion years older; modern humans, on the other hand, appeared about 300,000 years ago. Which, in other words, means that if we think of the Earth’s 4.5 billion years of existence as if one calendar year, then homo sapiens appeared about 30 minutes ago, and microbes have been around ever since March! Interestingly enough, even though microbes and humans have spent such a small amount of time together, they’ve managed to build a quite flawless type of interaction! Simply this: out of the 69 trillion cells in your body, 39 trillion are microbial. In other words, about 57% of you is microbes! And if you think that’s one of those yuck-kind of facts, consider this: your health has depended on each and every one of those 39 trillion microbes ever since you were born! You may not know what B. infantis is, and it’s certainly of no help to you if we tell you that you can read more about in the Wikipedia article titled Bifidobacterium longum. However – who would have thought? – unless that B. infantis bacterium planted itself firmly in the gastrointestinal tract of the baby you, your earliest food intake would have been a lot less nutrient! Because, you see, even though breast milk contains human milk oligosaccharides (HMOs), babies can’t digest them. And that’s where B. infantis comes to the rescue, processing HMOs and turning them into digestible proteins. Some of these proteins are anti-inflammatory, which means that they assume a role in our immune system afterward! 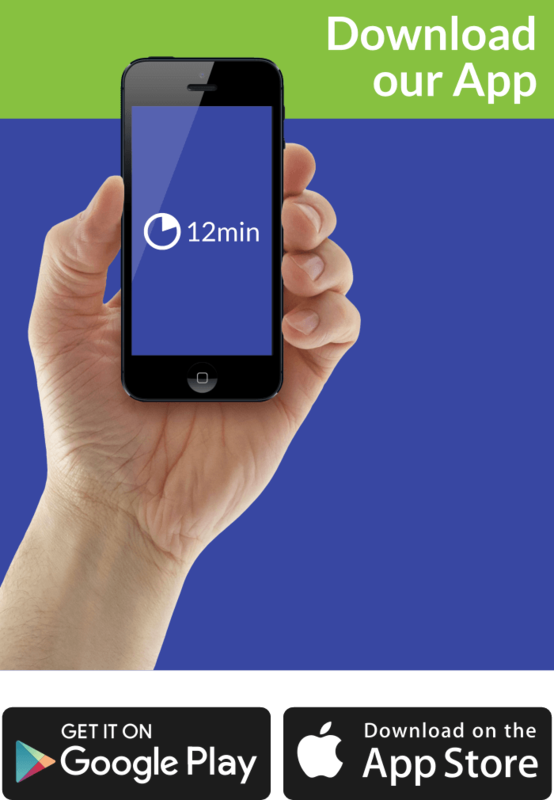 Speaking of the immune system – did you know that it is actually microbes which calibrate it? Let’s pause to note how peculiar this all is. The traditional view of the immune system is full of military metaphors and antagonistic lingo. We see it as a defense force that discriminates self (our own cells) from non-self (microbes and everything else), and eradicates the latter. But now we see that microbes craft and tune our immune system in the first place! In other words, children should be exposed to dirt and dust in their early age, because that’s the only way the organism can adjust its internal “immunostat,” i.e., the thermostat-like functioning immune system. In case your “immunostat” has been exposed to too few microbes in your childhood years, then it may end up being a bit jumpy later, overreacting to even the smallest of threats like pollen. Hence, serious allergic reactions! So, you need to balance your alliances with microbes the best way possible. Because strictly speaking, there aren’t good or bad microbes by themselves – but there are good or bad environments for different kinds of microbes. A killer in one environment, a microbe may become a rescuer in another. And thanks to science – now we know enough about some of these microbes to use them to our benefit. Check our “Key Lessons” section for some other interesting microbes-related trivia! A million microbes can fit on the head of a single pin! However, even though they are that small, this doesn’t mean that they are insignificant as well. On the contrary: more or less, they are the reason why we are able to exist on this planet. You see, microbes were the first organisms who taught themselves to photosynthesize, that is, use the power of the sun to convert carbon dioxide and water into oxygen and sugar. The latter they used to feed themselves and go on evolving; the former created an atmosphere suitable for the life of more complex organisms. Some microbes have superpowers by themselves, being extremophiles capable of surviving in the most extreme environments. However, a much more interesting case is when certain microbes and animals form symbioses which provide the single-celled organisms with food and the larger animals with a superpower. Consider, for example, the bobtail squid. This animal lives in a symbiotic relationship with Aliivibrio fischeri, bioluminescent bacteria which inhabits the special light organ in the squid’s mantle. The bobtail squid feeds the bacteria sugar and acid and, in return, the bacteria produce light which matches the amount of light hitting the top of the mantle. You’ve guessed it: this makes the squid practically invisible for anyone below it! Our darkest fiction is full of Orwellian dystopias, shadowy cabals, and mind-controlling supervillains,” writes Edward Yong. “But it turns out that the brainless, microscopic, single-celled organisms that live inside us have been pulling on our strings all along. The brain parasite Toxoplasma gondii is another puppet master. It can only sexually reproduce in a cat; if it gets into a rat, it suppresses the rodent’s natural fear of cat odors and replaces it with something more like sexual attraction. The rodent scurries towards nearby cats, with fatal results, and T. gondii gets to complete its life cycle. In a million tiny ways,” – states its blurb – “’I Contain Multitudes’ will radically change how you think about the natural world, and how you see yourself. We know that many blurbs state unsubstantiated claims such as this, but in the case of Ed Yong’s marvel of a book, this is more than true! God knows how many new things we learned from it, and how many of these things will effectively change the way we act and behave in the future!